This broken by Steve Lepore at Awful Announcing today, Fox Sports Executive Producer John Entz has confirmed that Fox Sports 1 will air on League Championship Series in its entirety this season. TBS will air the other LCS. It means that the League Championship Series just like the League Division Series and the Wild Card Playoff games before will become all-cable affairs. It leaves the All-Star Game and the World Series as the only MLB “jewels” to air on network television. 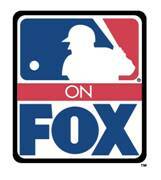 Under the previous MLB TV contract, Fox and TBS each aired one LCS, but Fox’s portion always aired on network television. Now with Fox trying to build an audience for Fox Sports 1, what better than to use a major postseason event to bring eyeballs to the network. With the new eight-year TV contract just beginning, Fox Sports 1 and TBS will each air two League Division Series as well as splitting the LCS. ESPN and TBS will divide the Wild Card games. More details about his new arrangement will be published on Awful Announcing tomorrow.